Alan Glen, piano, John Pope, double bass. Sid White, drums. 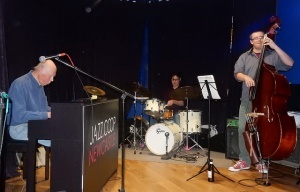 This is the best classic jazz piano trio in Northern England, maybe in the UK.